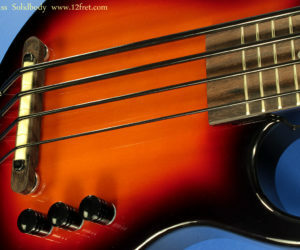 The Kala U-Bass solidbody is a very cool little bass. When these came in, they got a lot of attention from all the bass players in the top. Though they are small, they can generate a big sound with tons of bottom end.